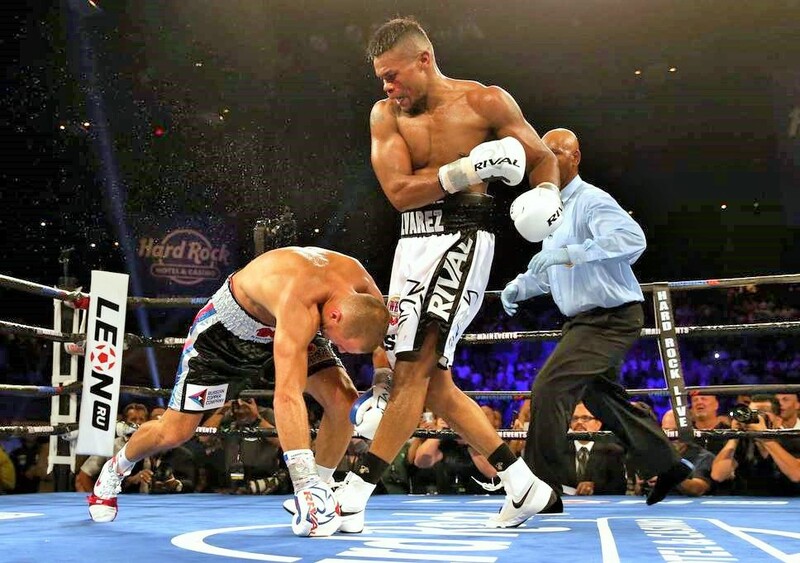 When Eleider Alvarez landed a thunderous right hand flush on Sergey Kovalev’s temple in round seven of their engrossing and hard-fought battle this past Saturday night, it was a punch that simultaneously decided the outcomes for a few different narratives, all of critical importance to the boxing scene in Montreal. 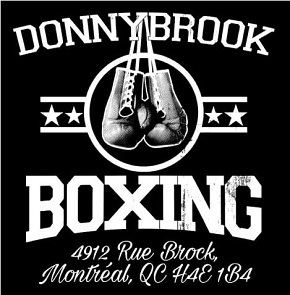 And while the bottom line is that “Storm’s” huge win heralds the start of a new and, perhaps, most fruitful era for boxing in “The Fight City,” it also means rethinking the local pecking order and what Montreal boxing fans can look forward to. First and foremost of course, the nature of the victory fully validates Eleider “Storm” Alvarez as one of the best boxers in the world. Previous to Saturday, there was general consensus that he deserved to be considered a leading light heavyweight contender, but few pundits were willing to go further than that, despite his holding something called the WBC Silver title since 2014, along with wins over Isaac Chilemba, Lucian Bute and Jean Pascal. The reasons for this are not difficult to ascertain. Chilemba was generally regarded, incorrectly, as a foe of questionable worth; when Alvarez struggled to some degree against the cagey Malawian and took a 12 round majority decision, it was a result which did not inspire dreams of great future glory for the man from Colombia. Similarly, most were content to put an asterisk beside Alvarez’s wins over Lucian Bute and Jean Pascal. 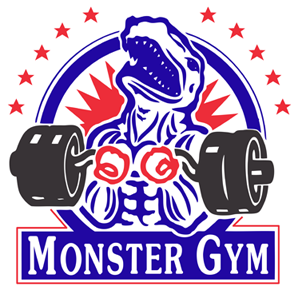 Bute, after all, was a long-time denizen of the 168 pound class, not a full-fledged light heavy, and one years past his prime, with a single victory in his previous four outings. And ahead of Alvarez’s showdown with Pascal one had to journey all the way back to January of 2014 to pinpoint the last time he appeared a bonafide threat at the championship level, that being when he dominated a feeble version of Bute in a sold-out Bell Centre. In fact, Alvarez’s victory over Pascal on the undercard of Stevenson vs Fonfara II back in June of 2017 was the primary reason for this scribe picking Kovalev to win at the Hard Rock, which may sound strange as it was a comprehensive, if not dominant, victory over a former world champion. But the chief impression I took from that performance was how it demonstrated Alvarez’s seeming lack of killer instinct. Too often, at least to these eyes, Alvarez had the green light to render Pascal helpless but he refused to seize the opportunity, content as he was to pocket rounds and avoid taking offensive risks. “Storm” outpointed Pascal in June of last year. That was Alvarez’s most recent performance and while the ring styles of Pascal and Kovalev are vastly different, I saw it as indicative of a fatal flaw, one which the constantly threatening “Krusher” would not fail to exploit. Caution and timidity are, for a knockout artist of Kovalev’s stripe, like the veritable red flag to a bull and I envisioned a gun-shy Alvarez, coming off 14 months of inactivity, unable to pull the trigger as the Russian worked to impose himself and land his big shots. I could not have been more wrong, though I certainly did not lack for company in that regard. The point is not to explain my errant guesswork but to counter the seemingly widespread notion that Saturday’s result had less to do with Alvarez’s talents and more to do with Kovalev supposedly being a shot fighter. It is both predictable and frustrating to see so many otherwise intelligent pundits and fight fans deny “Storm” the credit he clearly deserves, because to do so is to acknowledge the fact that few of us truly understood just how good a boxer the Colombian transplant actually is. 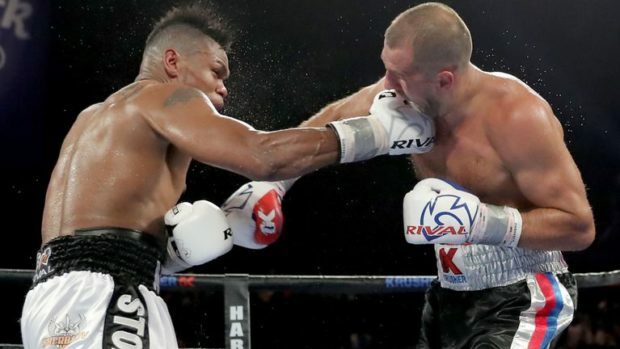 Most of us were picking Sergey Kovalev to win last Saturday and most of us were wrong, for the simple fact we had underestimated not the decline of “Krusher” Kovalev, but the skills of “Storm” Alvarez. Kovalev showed he remains a very dangerous fighter. And let’s be crystal clear on this point: Sergey Kovalev is still a very dangerous fighter; there is no reason to think otherwise. He gave Andre Ward two tough battles, many believing he deserved a better fate in their first clash, and he had since notched two knockout wins. The truth to be drawn from Kovalev vs Alvarez is that “Storm” is a better boxer than almost anyone realized. At the Hard Rock he was focused, in excellent condition, not the least bit intimidated by “Krusher,” and he executed his strategy to perfection. By the time Alvarez landed that vicious right hand in round seven Kovalev was beginning to tire, an understandable fact given the intensity of the battle and the fact the Russian was jousting with an opponent significantly larger and heavier, something more so-called experts should have picked up on in the pre-fight predictions. That said, the same punch four or five rounds earlier would likely have rocked “Krusher,” not finished him, but at that particular juncture it was clearly enough to scramble his faculties. Add to that Kovalev rising much too quickly from the knockdown, and the fact there was a full minute left in the round, and the match was effectively over the instant that perfect punch detonated on the champion’s cranium. But if the end result is a victory for talent and preparation, it is also one for loyalty and patience. 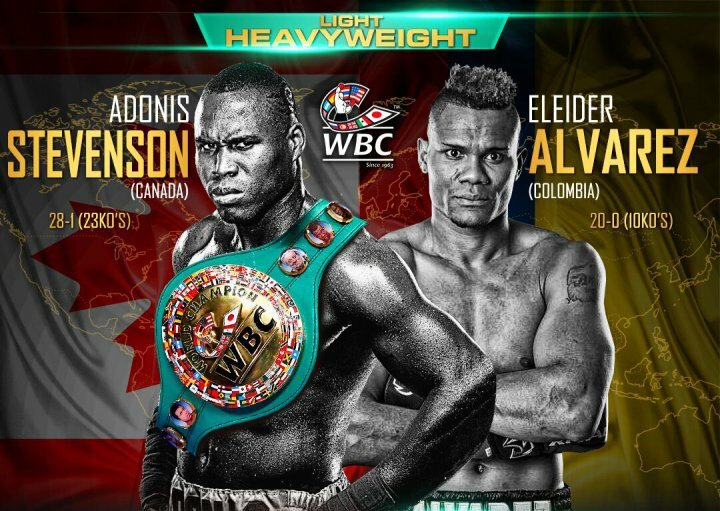 How many times did Adonis Stevenson ignore the edicts of the WBC and side-step his obligation to defend his title against Alvarez? 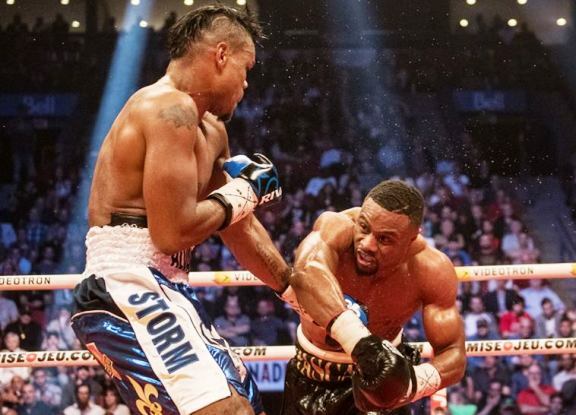 Most of us lost track months ago, but it was damaging for all involved when Stevenson refused to honour his commitments after his second round demolition of Andrzej Fonfara, that win on the same card where Alvarez out-dueled Pascal. At the post-fight press conference, a more skeptical observer would have noted how the name Andre Ward came more easily to Stevenson’s lips than that of Alvarez, but Yvon Michel was unequivocal: a Stevenson vs Alvarez showdown was set in concrete for the autumn of 2017. Will it ever actually happen? And it must be noted that while this seemingly unending drama was playing itself out, the public profile of Yvon Michel was taking serious hits, his credibility openly called into question, and not only because of his inability to deliver the officially mandated and oft-promised Stevenson vs Alvarez match. This was made crystal clear this past March when Russian heavyweight prospect Arslanbek Makhmudov put a stop to the rumours about his signing with Groupe Yvon Michel by issuing a stinging public rebuke, citing Michel’s legal dispute with Artur Beterbiev, his loss of top prospect Custio Clayton to rival promoter Camille Estephan, and his alleged failure to come through for Alvarez, as well as fellow Russian prospect Vislan Dalkhaev. Given this backdrop, it was impossible for careful observers of the situation not to wonder when “Storm” Alvarez might finally lose patience and also abandon Michel. But that didn’t happen and there are no indications it was ever seriously considered. Instead the undefeated contender remained focused and unwavering despite months of waiting, months of inactivity, his faith in his management and promotional team seemingly resolute and indefatigable. 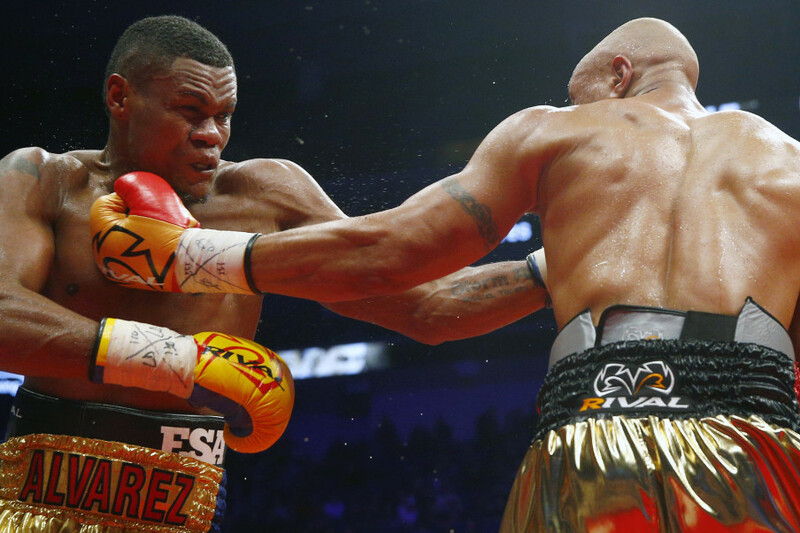 While other elite-level boxers switch managers, promoters or trainers as often as a long-haul driver changes his tires, Eleider Alvarez, presumably, never questioned the viability of his team or the plan that was unfolding, albeit very slowly. How refreshing to see Alvarez remain loyal and have that loyalty rewarded. What an intriguing plot twist to see Yvon Michel — who looked increasingly isolated as the Eye Of The Tiger empire grew all around him, encroaching on what territory he still held — have his own intransigence repaid with the biggest victory by any Montreal boxer since Adonis Stevenson knocked out Chad Dawson back in 2013. Looking back, the victory which should have propelled Alvarez into a title shot was his decision win over Isaac Chilemba back in November of 2015, a match which the WBC billed as a “title eliminator,” a designation which made some sense given the fact both fighters were coming off meaningful wins. Chilemba had outpointed undefeated Russian prospect Vasily Lepikhin, while Alvarez had done the same to Isidro Prieto. Their clash, on the undercard of James DeGale vs Lucian Bute, was a tactical duel that demonstrated the skills of both fighters. And at the time, much was made of the fact that an intriguing Stevenson vs Alvarez title fight was now inevitable; almost three years later, we’re still waiting to see if it will ever happen. Alvarez and Chilemba mix it up. Thus, instead of a shot at “Superman,” Alvarez instead received — in addition to at least two reported “step-aside” payments so Stevenson could defend his title against Thomas Williams Jr. and Andrzej Fonfara — lucrative matches against Bute and Pascal, wins which have only grown in significance and for two important reasons. First, when taken into consideration along with the conclusive stoppage of Kovalev, one observes that no other active light heavyweight has three consecutive victories of as high value or importance. Secondly, they perfectly position Alvarez to become, should he want to be such a figure, the torch-bearer for professional boxing in Montreal, a fight-mad city unlike any other. It’s worth noting that the grumblings of the pessimists have been growing louder on the fight scene in Montreal. The glory days are gone, they say. Not that long ago David Lemieux, Lucian Bute and Jean Pascal were all top attractions, all champions or top contenders. Wasn’t it only yesterday that Pascal and Bute sold out the Bell Centre? 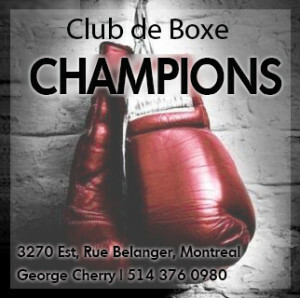 Yes, the fight itself was a dud, but it was the crowning event of several years of big boxing cards and a series of championship fights for Montreal boxers. Now the dependable draws, the big names that could sell tickets, were gone or in steep decline. Who would take their place? Alvarez exults: A star in the making? 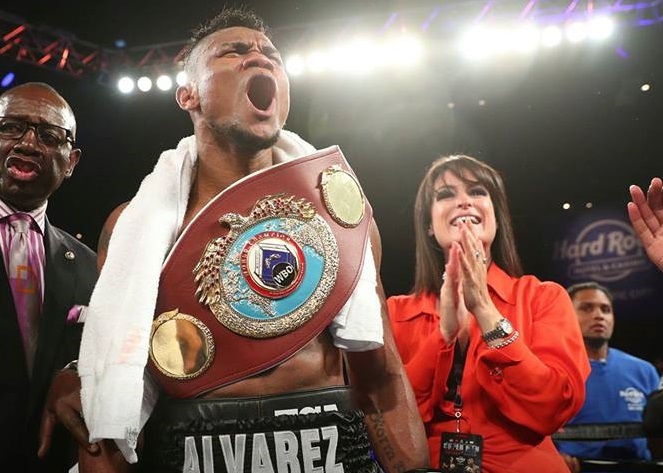 It remains to be seen if the opportunity now presented can be fully exploited, if Eleider “Storm” Alvarez can in fact fill the vacuum left at centre stage, one which he helped create by putting an end to the relevance of Pascal and Bute. 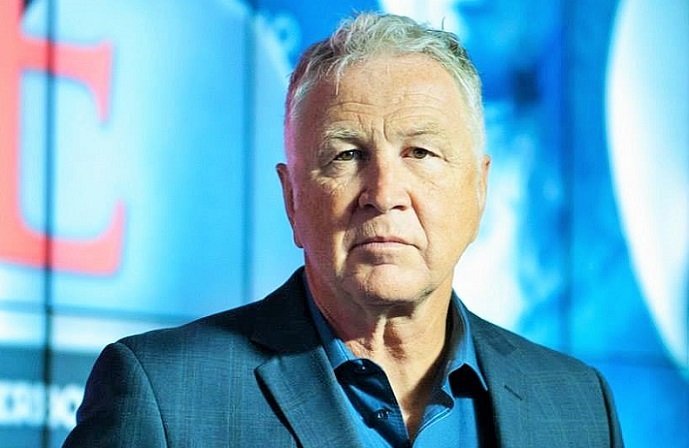 But if Yvon Michel and the fight fans of Montreal cannot make Alvarez into a major sports figure and a new cash cow for the local fight scene — if not a star for all of Canada — then something is amiss. It’s been a terrific year for pugilism and the competition is intense, but when 2018 draws to a close and boxing fans look back, Saturday night’s shocking victory is going to be on the shortlists for performance and knockout of the year, and indeed few other wins are likely to be more consequential. In other words, the stage is now set perfectly for another fistic renaissance in The Fight City, this time led by a Colombian boxer who, in addition to his ring skills, boasts truly admirable patience and allegiance and a backstory which, if brought to the attention of the mainstream sports fan, can only inspire further admiration and sympathy, not to mention singing turnstiles and crowded aisles. In other words, Michel and Alvarez took full advantage of the golden opportunity to fight and beat Sergey Kovalev, but the question now is, can they seize the great chance left in the wake of that wonderful “storm”?